Karen hails from Dartmouth, Nova Scotia. She pursued undergraduate studies at the University College of Cape Breton where she also played varsity basketball. Karen obtained her Bachelor of Arts Community Studies degree in 2003 where she was awarded the UCCB Silver Medal for achieving the highest average in her program. Karen received the 2003 Tore Grude Memorial Scholarship from the University of New Brunswick Law School and obtained her Bachelor of Laws in 2006. After moving to Hamilton and completing her articles at Camporese & Associates, Karen was called to the bar in 2007. 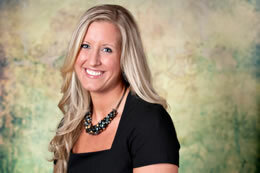 Karen’s practice focuses on civil litigation with an emphasis on personal injury and accident benefits. She represents clients who have suffered injuries as a result of motor vehicle accidents, slip and falls and sexual assaults. She also represents insurers in bad faith litigation and property and casualty losses. Karen has appeared before the Small Claims Court, Ontario Superior Court of Justice, Ontario Provincial Court, Divisional Court and the Court of Appeal for Ontario. Karen has also appeared before several administrative bodies including the Financial Services Commission of Ontario and the WSIB and CPP Tribunals. Karen is an active member of both the local and international community and has participated in many volunteer initiatives. She is the former chairperson of the UNB Poverty Law Society and UNB Law School Charity Auction. She was representative for Local 95 of the Canadian Federation of Students, is the former Student Advocacy Coordinator at UCCB, was a researcher and curriculum developer at the UCCB Children’s Rights Center and volunteered at the New Brunswick Human Rights Commission through Pro-Bono Students Canada. Karen also had the opportunity to travel to Sri Lanka in 2003 as the Youth Advisor for the FIT Sri Lanka Child Rights Project. Karen is a former member of the Hamilton Law Association’s Collections Subcommittee, a former member of the HLA Services and Benefits Committee and a former co-chair of the HLA’s Practical Tips for the Courtroom Seminar. Vitucci v Hayward et al.